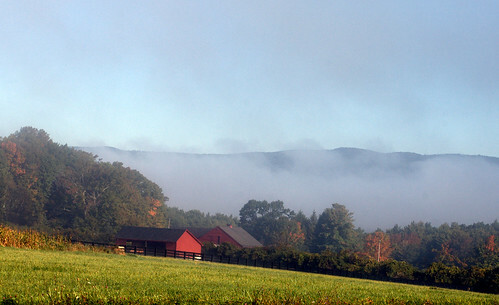 red barn mist, originally uploaded by jahansell. In spring and, especially, fall, the days are warm and the nights cold. This creates the perfect atmospheric conditions for beautiful photography - every morning the mist and fog lie low across the hills, as the sun rises bright. Beautiful scene and so well captured. You have such incredible surrounding - and colors. Jenn... been following you for a long time now, and you know I have enjoyed much and supported you big-time. To me, this today is such great work of art...magnificent! Captured the essence perfectly. I'm not sure that if you don't live here, to experience this very short and special time of the year.To capture it right is such a huge challenge And you nailed this one. Bravo!